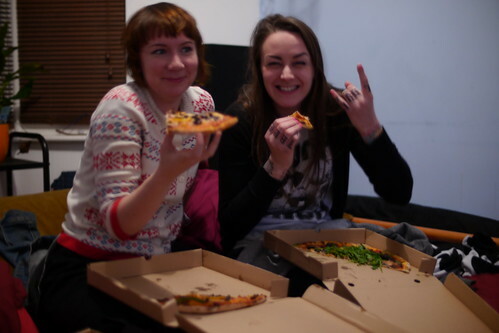 Pizza faces are happy faces! submitted by jessrawk: Vegan garlic fingers! Bruschetta pizza! Similar to regular ole bruschetta, but cheesier and easier to eat. Posted: 08/25/12 at 7:00 am. Filed under: Saturday Garbage Plate.